Bamboo provides a new resource for smallholder agriculture value chains and rural development initiatives. As agricultural research develops new varieties of forage plants and commodities, such as barley, for use as feed and fodder in small holder farming systems across the developing world, an ‘unknown’ plant is emerging that can provide real productive uses in many countries. This is bamboo. In the right conditions, bamboo can provide a highly productive food source for animals in smallholder farming communities. As a plus, it also brings a range of income diversification options to families. Bamboo offers some unique benefits and characteristics that other commodity and fodder crops do not. It is a robust plant that requires little maintenance – many varieties drink little water. It provides a perineal source of food – producing edible plant materials year round. Bamboo is used today in many countries as feed for cows, sheep and goats, and has potential to benefit many more families and communities across the Global South. While the benefits are known and have been applied on a small scale, the bamboo feed-fodder value chain for small holder farming needs to be further developed and tested. INBAR is working with partners in Africa and Asia on this proof of concept. Feed, fodder and livelihood value chains using bamboo will add value to the efforts of agricultural research for development initiatives, including national rural development programmes in bamboo resource countries, and in other locations. From a crop-water perspective bamboo varieties can thrive in agro-ecosystems that grow rain-fed wheat, making it a resource to consider for use on marginal lands (combined with wastewater or grey water) and in dryland production systems. For example, beneficiary communities of the CGIAR Research Programs on Dryland Cereals, Forests, Humid Tropics, can profit from including bamboo as a new component of their agricultural livelihood systems. Likewise the people targeted by rural development programmes of the World Bank, IFAD and others will benefit from including bamboo as a strategic resource. To bring practical perspectives on these uses of bamboo, INBAR plans to develop food and fodder value chains and is working on approaches to bamboo use in smallholder farming. 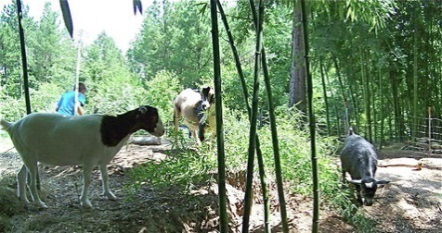 -Are you working with bamboo as animal fodder? 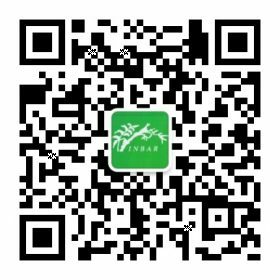 -Would you like to partner with INBAR to test approaches for bamboo fodder for smallholder farming and in rural livelihoods?